If you’ve read or seen my own book about strengths, you know that I am passionate about living and working from your strengths. 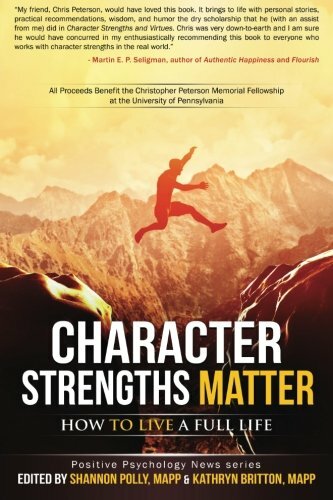 So when I learned that my friend and colleague Shannon Polly was co-editing a book all about the late Dr. Chris Peterson’s VIA character strengths, I was giddy with excitement. In this book, you can learn more about each of the 24 character strengths, why they matter, and how to develop your strengths. And what’s really unique is that it is not merely through prose that Polly and her collaborator, Kathryn Britton, describe these strengths. In addition to unique contributions from a variety of experts and practitioners in the field of Positive Psychology to help shed light on building your strengths, the editors also provide at least one monologue, poem, or famous speech to be read aloud in order to help you “act ‘as-if’” to embody the strength. It’s very unusual and I really appreciate this approach! One of my top strengths is curiosity, so if you are also curious to know what your top strengths are, check out the free VIA Character Strengths survey and then go read this book! The work of my colleague Ira Chaleff, is truly unique. Whereas most experts focus on leadership (including yours truly), he focuses on the important counter-part of all leaders: followers. What’s more, his body of work has focused on building courageous followers. So I was excited when he sent me a copy of his new book, Intelligent Disobedience, which takes his work deeper into another side of followership: what to do when as a follower you feel that you should NOT follow your leader’s orders. 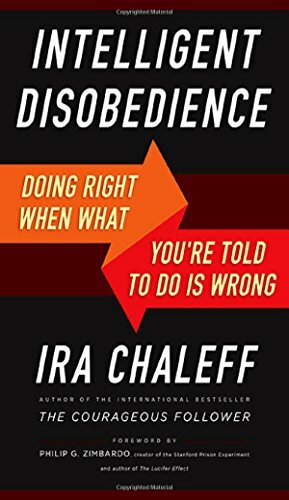 According to Chaleff, “Intelligent Disobedience is about finding the healthy balance for living in a system with rules and authorities while maintaining our own responsibility for the actions we take.” Remember the classic Stanley Milgram 1960s Yale experiments where people were told to apply electric shocks to subjects who wailed and begged them to stop, and 2 out of 3 complied with the experimenter's instructions and gave the shock anyway? These and many other similar experiments have been replicated over and over again, showing that we sometimes don’t question authority enough. So while the term comes from service animal training, Intelligent Disobedience is an important and ground-breaking concept for people in organizations, schools, and families to learn and apply. And in this book, Chaleff not only makes a strong case for it with lots of examples, but also provides specifics around the ‘how’. Not your typical relaxing beach reading, for sure, because it will give your brain an important ethics workout. This book is an excellent tool for all leaders and people managers. We often get bogged down in the tactical work that we don't notice what is going on with employees until the danger signs of disengagement are loud and glaring. At that point, it's often too late. 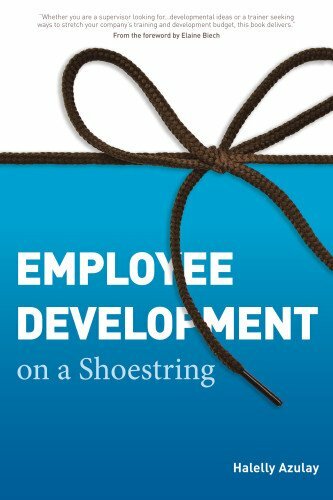 This book suggests an alternative that is doable and important: talk to employees all the time, in small, manageable conversational bites, about what they want, what they aspire to, what they need, how you can help them, and where they'd like to go next. This gives you the insights you need to lead them properly and keep them engaged and high performing. Stay interviews are the perfect antidote to the exit interviews. A must for leaders of all stripes! 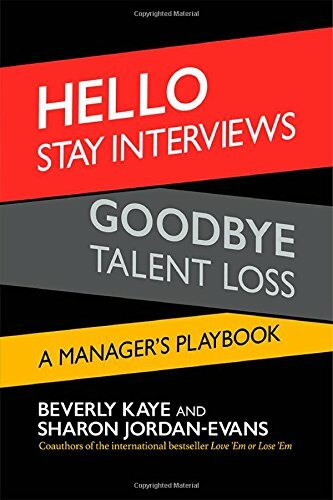 To hear more about the ideas from this book, definitely be sure to listen to my interview with one of the co-authors, my friend and mentor Dr. Beverly Kaye on episode two of my podcast, The TalentGrow Show. 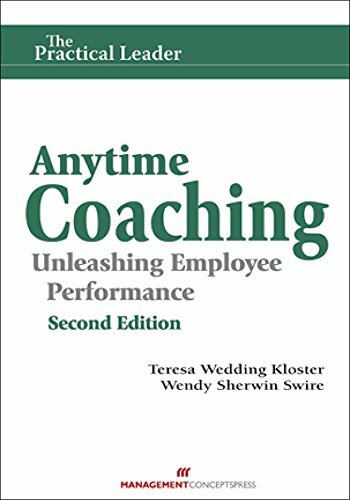 I was happy to hear that my friends Teresa Kloster and Wendy Swire wrote a new edition to their classic book, Anytime Coaching. Even though the original edition of Anytime Coaching was extremely useful, they have managed to take the new edition to new levels of helpfulness by weaving insights from the burgeoning fields of neuroscience and mindfulness throughout the content. If you’ve been reading my blog or following me on social media, you know that I totally geek out on that stuff. By incorporating these useful new insights into the workings of the brain and nervous system, they’ve created an incredibly validating and important improvement of coaches’ ability to coach successfully. Coaches can now avoid the pitfalls and blind-spots that our biology can introduce to our ability to read, interpret, and manage human behavior. It’s really useful stuff. Last but not least, a book in which I’m one of the contributors. I love these collections that my friend and mentor Elaine Biech (check out my podcast interview with her) cranks out in spades – useful, practical, immediately applicable activities, exercises, and lists. Just read her Amazon author profile to see the sheer volume that she’s previously produced. 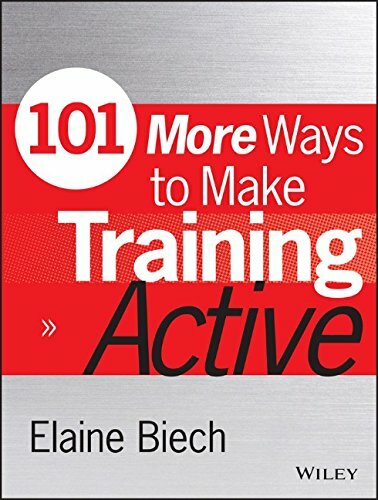 I’ve been proud to have contributed to many of them, and definitely to this latest treasure trove called 101 More Ways to Make Training Active. If you design, develop, and/or deliver workshops or presentations and want to engage the learners actively, this book is for you. My specific contributions are #7: “10 Tips to Become an Engaging Facilitator” (p. 17) and #67: “Case Sorter”, an activity to “help participants self-sort into teams, based on interest, for a case study activity that offers multiple options” (p. 233). Among the other 99 activities and lists are icebreakers and introduction ideas, ways to connect learning to the workplace, ideas for increasing diversity and inclusion, teamwork and team-building activities, and more! This is a resource to keep on a nearby bookshelf because if you buy a copy for yourself or a colleague, it will be the gift that keeps on giving. Have you read any of these? I’d love your thoughts in the comments below. What other books have you recently read or are planning to read this summer? Please contribute to our reading lists by adding them in the comments too!